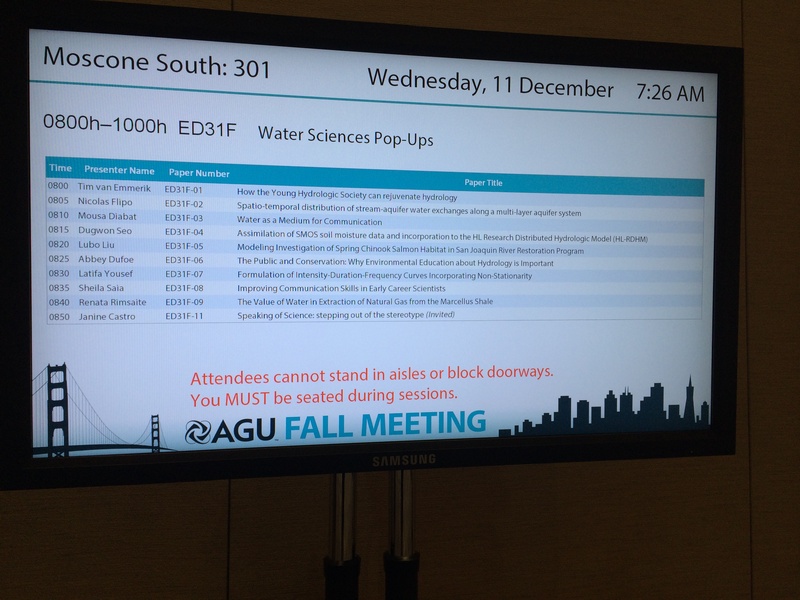 As the title suggests, today was the day that I presented in the Water Sciences Pop-Ups session: a chance for graduate students to share their view of hydrology and the future of water. My presentation focused on how important environmental education and stories in the news media are in order to bring water conservation to the forefront of hydrology studies in the future. TV outside the meeting room – check out the presenter at 8:25! The session was completely run and organized by other graduate students, and it was great to connect with them about water issues! Not surprisingly, they were surprised to learn that I’m a journalism student with a communication background. One thing I forgot about while preparing for my talk was the fact that I had an international audience. And because I talk so fast in general, I forgot that there would be a partial language barrier and should probably have slowed down for better understanding. Despite this, I was approached by a few students who shared their positive views about my talk! I really appreciated getting feedback from scientists. This means that the information I gave was correct, and also that I made some sort of impact. 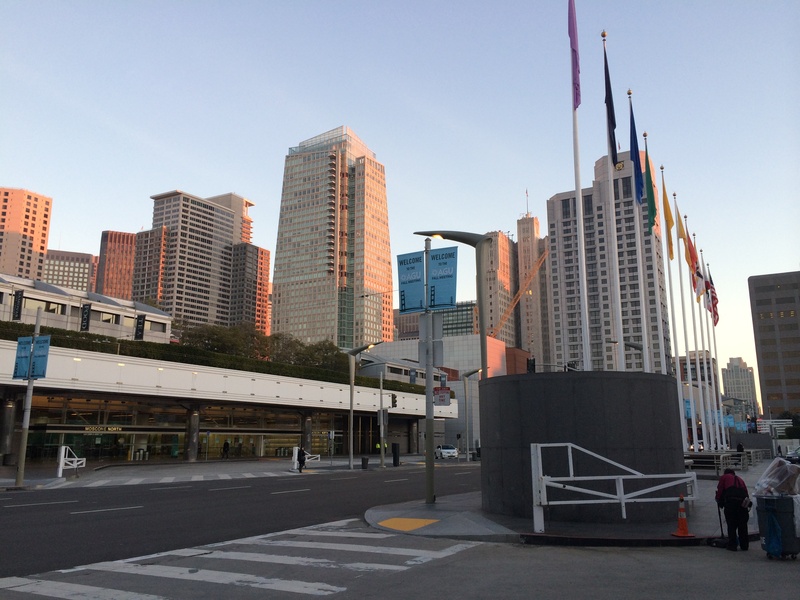 I was also approached by Kara Smedley, student coordinator of AGU, who is going to get in touch with me regarding non-scientists and communication at AGU. I’m excited to connect with her and see what she has in mind! Next up, poster presentation tomorrow!